Zimbabwe has strengthened ties with Japan in areas of Information Communication Technology cooperation and technology transfer programs in a move that is set to benefit the country in both ICT infrastructure development and building of cyber-security fortresses. The Japanese Ambassador to Zimbabwe, Mr. Toshiyuki paid a courtesy call to Zimbabwe’s Minister of Information Communication Technology and Courier Services, Honorable Kazembe Kazembe to discuss more areas of cooperation in ICT infrastructure development projects set to be rolled out this year. Speaking during a media briefing of the event, Kazembe said government has been working closely with the Japanese delegation in recent years to promote investment in the country through developing the country’s ICT infrastructure. 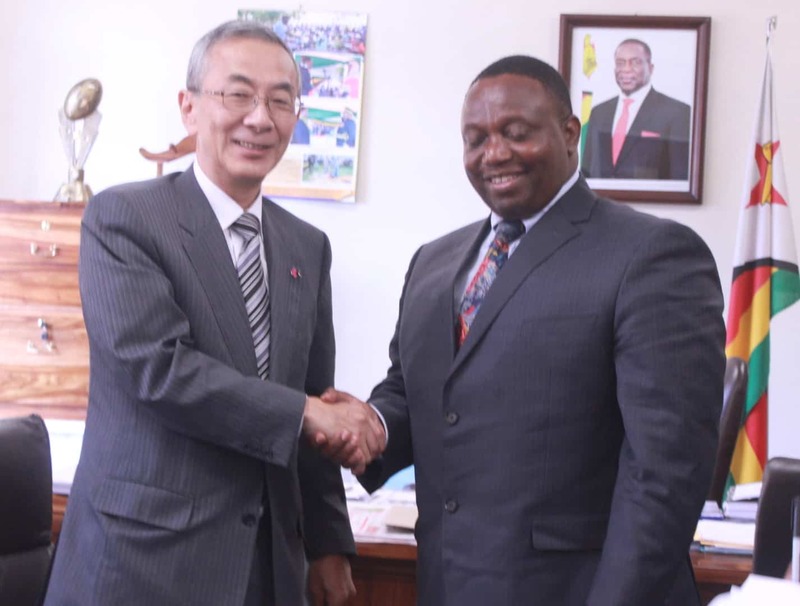 “We have been working closely with the Japanese delegation to Zimbabwe to improve cooperation in technology transfer projects and development of ICT infrastructure mainly in areas of cybersecurity” said Minister Kazembe. “Our intention of course as a Ministry is to ensure that everyone is connected, no one is left behind. You cannot do anything in this day and age without ICT. For us to enjoy those applications we really have to have the platform first.” added Kazembe. “The Chamber Of Commerce in South Africa led by the Jetro will be in Zimbabwe next week from the 18th to the 20th of February, the effort on our side is to establish how we can engage Zimbabwe economically until it reaches its full potential,” said the Japanese Ambassador, Mr Toshiyuki. He further added that many more fruitful projects are expected to come out of this cooperation as Japan is one of the biggest technology producers in the world.